A reality of charitable giving today is that effective granting requires effective cost management. Cost matters -- in investing and in charitable giving. When evaluating charitable giving options, the more money spent on fees, the less that's available for charity. At Vanguard Charitable, we believe in low cost and high impact philanthropy. We keep our fees low to ensure more charitable dollars are working for the causes you care most about. 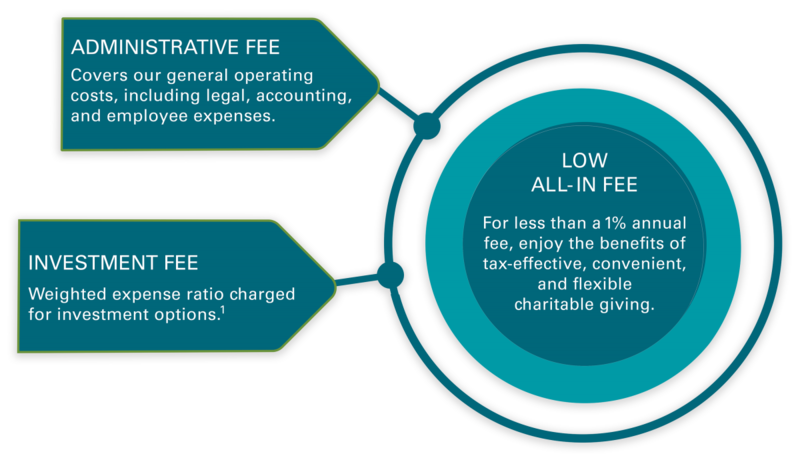 Large fees can reduce the potential growth of charitable assets, erode investment returns and contributions available for granting. Consider the following scenario. Three accounts, each with $250,000 earn a 5% annual return. But with each account assessed a different annual fee, you can see how the larger the fee, the greater the erosion and fewer dollars for your charitable goals. Over 20 years, untouched by fees, $250,000 could grow more than $650,000. In our average account, with an all-in fee of 0.70%, the initial balance grows tax-free to nearly $580,000-- creating an extra $330,000 to be recommended as grants. 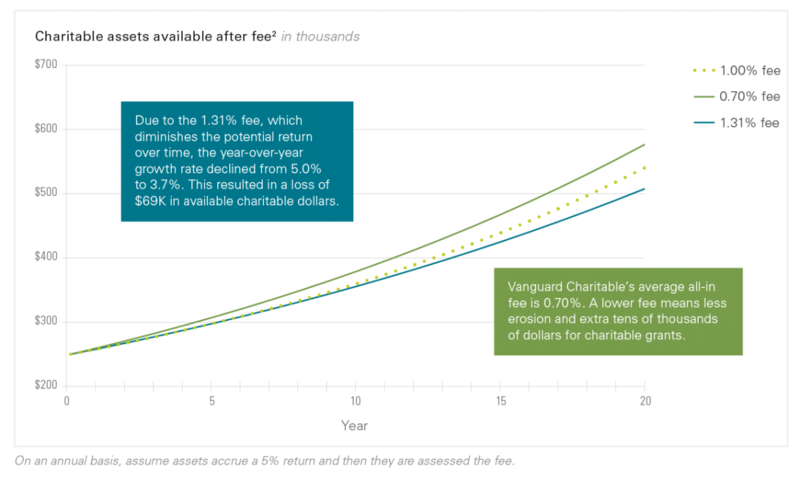 1 Vanguard Charitable does not itself charge investment fees. The expense ratios are assessed by the underlying funds of the Vanguard Charitable investment options and vary per account based on investment allocation.